It’s worth remembering that April 28th is the day of mourning for workers who were injured or who have lost their lives as a result of work-related incidents or occupational diseases. Last year 143 BC workers lost their lives. That’s up from 121 people in 2009 at the height of the recession. 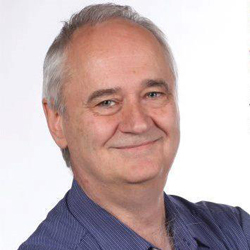 On average, more than 1,000 Canadians die annually in their workplaces. Many of these people are killed while working. Many more die later from exposure to things like asbestos. WorkSafe BC publishes the sad list of causes annually. 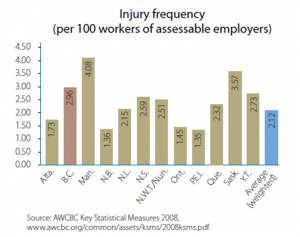 In 2009 nearly 100,000 British Columbians were injured on the job. Nearly three million work days were lost. 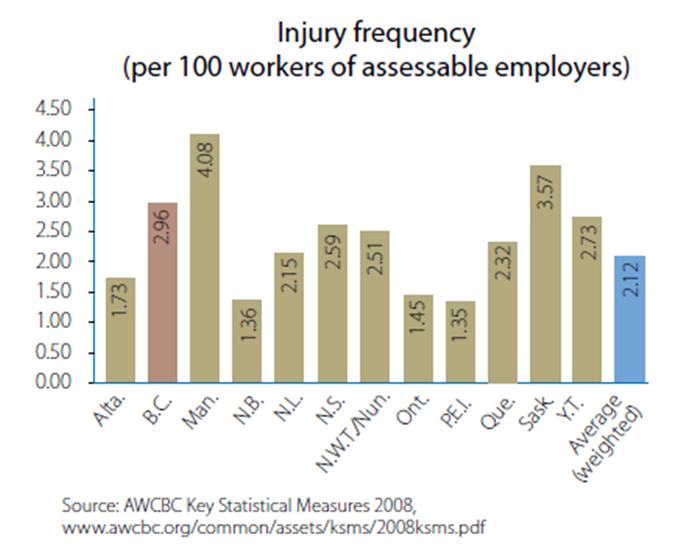 Construction and forestry see many injuries, but nearly 12,000 people working in health care and social assistance were also injured. Young men face the highest risk of occupational injury. Each day 30 are hurt on the job. People talk about entrepreneurs taking risks, but this is the real human cost of working for a living. The first Day of Mourning was honoured by the Canadian Labour Congress in 1985. In 1991 the Canadian government recognized the day. Since then other countries have also recognized the day. The BC Federation of Labour, the Canadian Labour Congress and the Vancouver and District Labour Council invite people to come to Hastings Park at 8:00 am April 28th to honour the workers who have been killed and injured. Other day of mourning events in other communities are listed here.